Faith in a Fat Body: Learning to Love Our Bodies, Our Neighbors, and Ourselves. So often we look at fat bodies as failures – and that is no different inside the church than out. This session will look at some truths about fat bodies – that they are made in the image of God, tell us something unique about God, and are not a sign of sin. While the world tells us that our fat bodies are too much, the truth is that all bodies are expressions of the body of Christ. We will talk about how our churches and communities can be places where fat bodies are welcome and intentionally included as part of a vibrant community. There will be time for questions and discussion. J. Nicole Morgan is a Christian fat-acceptance advocate, an amateur seamstress, an unlikely hiker, and the delighted aunt of four curious kids. 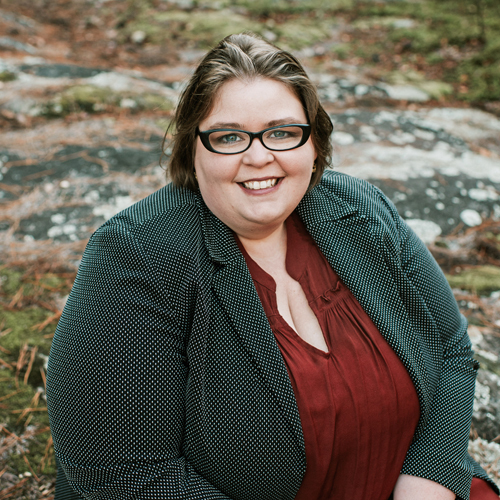 She is the author of Fat and Faithful: Learning to Love Our Bodies, Our Neighbors, and Ourselves (Fortress Press, 2018) and co-host of the podcast Fat & Faithful. Nicole’s writing has been featured in Christianity Today, Sojourners, and other places. She earned her master of theological studies in Christian Faith and Public Policy from Palmer Seminary of Eastern University.